Talk about blending drinking excellent wine, with a good cause, and Daniel Lenko’s Chardonngay should come to mind. 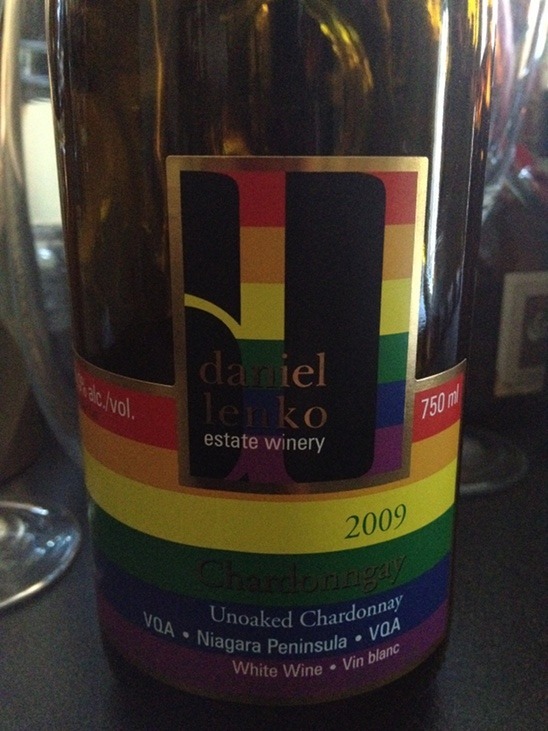 The Daniel Lenko Estate Winery, in support of Canada’s diverse gay culture, donates $1.00 from every purchase of this Chardonnay, to AIDS research. It’s an easy way to donate, especially because the wine is utterly fantastic. On colour, this Chardonnay is a crisp straw hue, reminiscent of the golden colour of the grape itself. On the nose, you pick up scents of apple, peach, and a blend of citrus fruits. On the palate, you’ll be delighted by the wines well tempered acidity, lemon, pear and we even noted a later taste of guava. We can’t say enough about this Chardonngay. Not only does drinking it help you to support a good cause, but your palate will thank you for the experience! This wine drinks well on its own, but will also pair well with seafood, pork chops, or even a white Stilton cheese!